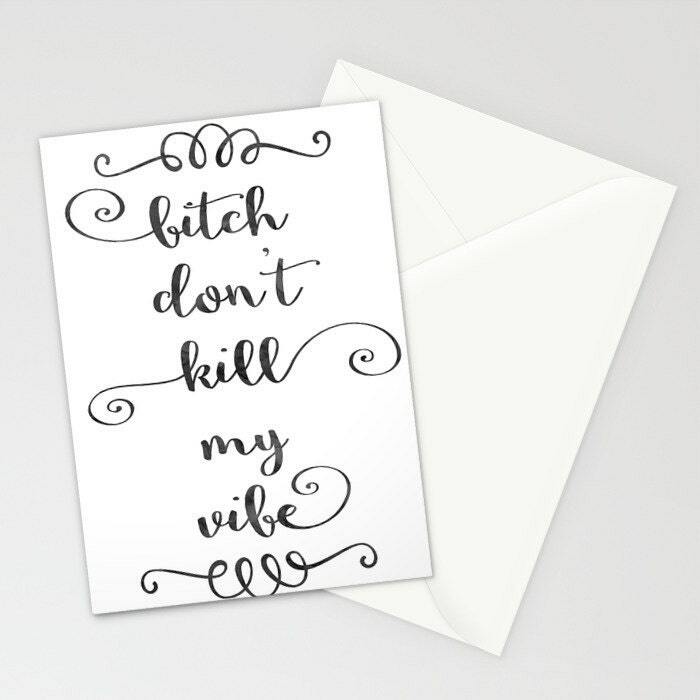 Sassy greeting card for anyone who appreciates rap, or at the very least does not want their vibe killed by anyone at any time! Script print with swirled scrolls. Print is filled with a dark gray watercolor effect. 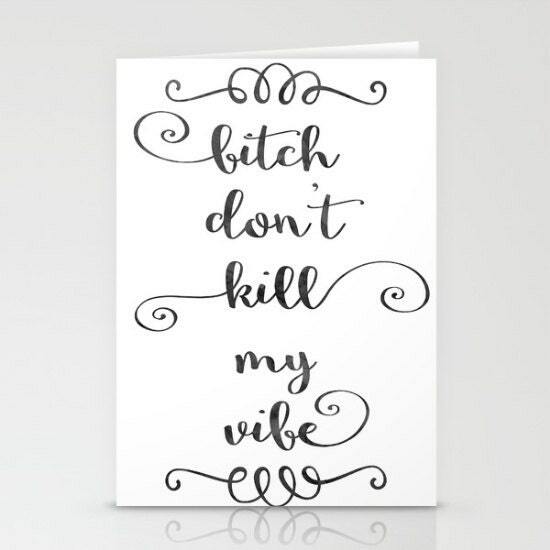 Single folded stationery card with high quality print on smooth bright white card stock. Cards are blank inside. Blank white envelope included. BUY A SET AND SAVE! This card will be made to order and should take about 1-2 weeks to ship, then allow additional time for shipping based on destination.